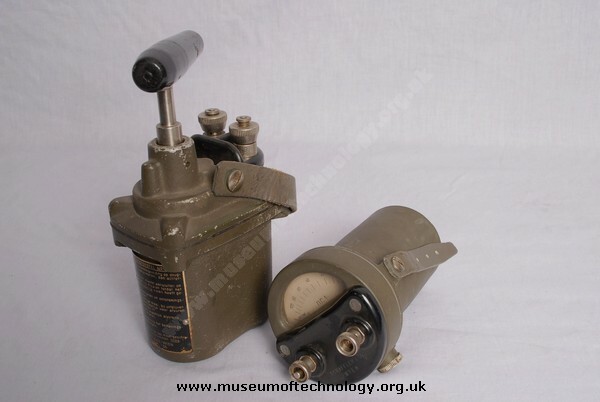 This is a Schaffler type 355 (formerly type-name DKM) with a Schaffler ohmmeter type DREOME (line tester). Schaffler was a big well known Austrian manufacturer for exploder, electric blasting caps and blasting equipment and exported to the whole world. This exploder on the photo looks like the Netherlands export version.